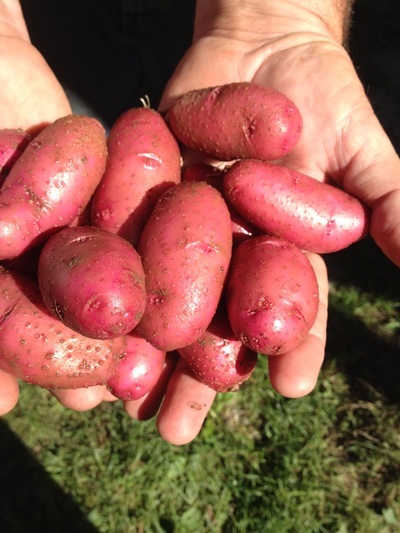 We are introducing our Winter Farm Share for the 2018-19 season. We have considered participating in Community Supported Agriculture (CSA) for most of our farming career. 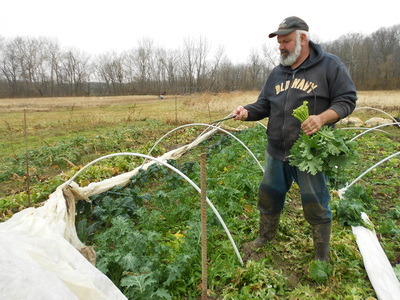 A farm share is a unique collaboration between the land, the farmer and community members. 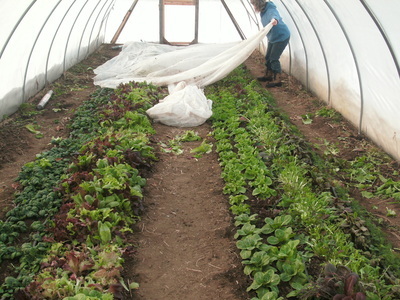 Members purchase a “farm share” in return for a portion of the harvest throughout the season. 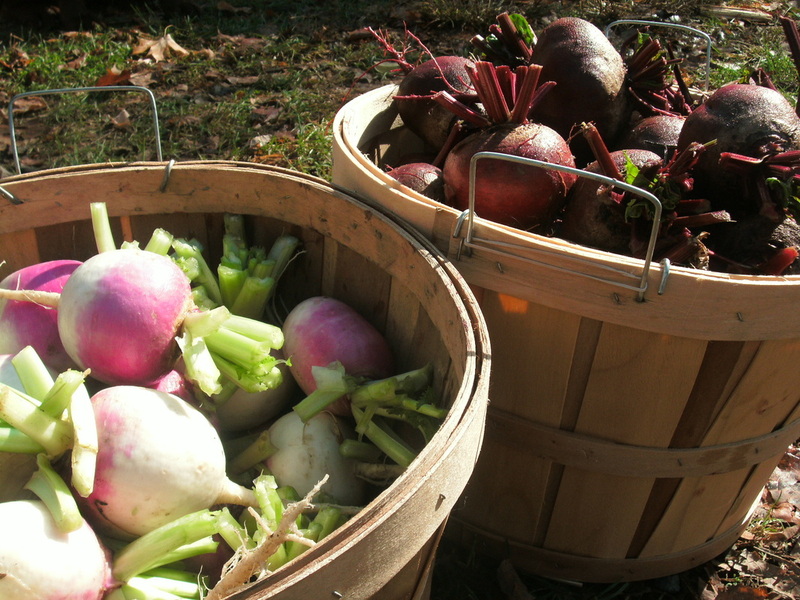 We will harvest and provide a bountiful supply of produce to each member once a month November through February. We are excited about providing you a choice on where to spend your food dollars. Everything in your share will be grown at our farm and is certified organic by OEFFA and the USDA. We have already started growing this year's crops and feel comfortable with the variety of vegetables we can offer throughout the season . Our commitment to planning ahead should reduce the risks for you and the farm. We hope you will enjoy eating more with the seasons. That Guy's Family Farm's share offers passionate and informed foodies the opportunity to purchase direct from the farm to obtain the highest quality organic food year round. In the spirit of collaboration, we want to have the Farm Share pickup at the farm. We want to encourage local community members to join our food revolution. We have used a similar partnership when offering our pastured poultry products over the years. This has always proved to be a rewarding way for us to connect and enjoy our customers. This also becomes a way to support your local economy, the sustainability of our area, and for you to receive delicious, organic vegetables this season. Beginning in 2013, we started offering a winter CSA. Instead of traveling long distances to markets in the winter, we wanted to reach out to local customers in our area with pick-up at the farm. 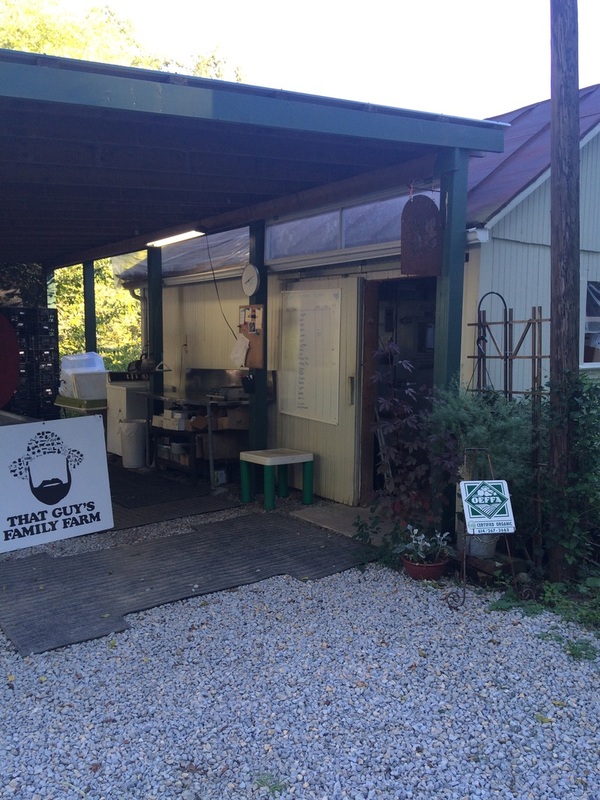 We are grateful for the positive response to the CSA, and we have enjoyed the fellowship with our community members who show support for our farm and for local food. Our concept for the winter share is to return to our roots; to use traditional ways to store food for the winter. 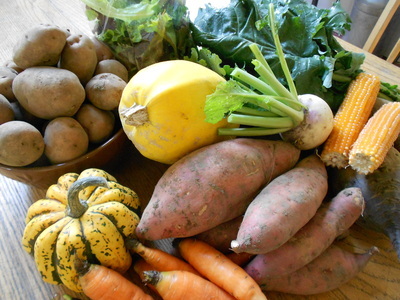 We grow different varieties of the same root crops (potatoes, sweet potatoes, winter squash, beets, etc) to have diversity throughout the CSA. We have fresh lettuce, spinach, and kale from unheated hoops, plus popcorn for snacks.